The Boston Neighborhood Network has called the BNN Charles J. Beard II Media Center home since 2007. Formerly the Egelston Square Power Station, the facility was renovated and repurposed from powering trains to empowering people. Listed on the National Register of Historic Places, the BNN Charles J. 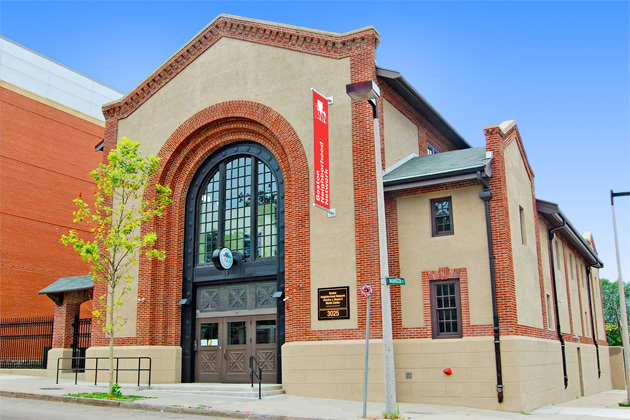 Beard II Media Center is a LEED-certified U.S. Green Building operating with minimal environmental impact, which contributes to the health and sustainability of our city. The BNN Charles J. Beard II Media Center houses two production studios, a state-of-the-art radio production studio, a state-of-the-art Timothy Smith Network media lab, a conference room with full audio/visual capabilities and several meeting spaces. Our mobile production truck is parked in our backyard, ready to go out to the neighborhoods to cover community events and our satellite dish sits on the roof bringing down programming from beyond Boston's borders. It is a community gem providing access to 21st century communications, skills, resources and opportunities for current and future generations. Click to see BNN Facilities, Equipment & Meeting Space. Located near the geographic center of Boston, the BNN Charles J. Beard II Media Center is easy to reach by public transportation and car, and has free parking. For directions and public transportation routes to our facility: Click Here. BNN named it’s new home in memory of Charles J. Beard II, who passed away in March 2004. 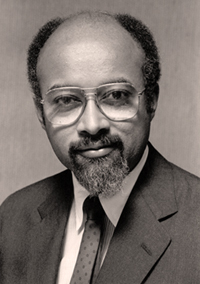 Attorney Charles Beard was a pioneer in the legal field of cable television regulation and the first African American to be named partner in a major Boston law firm. In the early ‘80s, Charlie was part of a group of people brought together by Mayor Kevin White to write a contract for the City of Boston and their first cable television provider. He was a founding BNN member, a long-term member of the Board of Directors and acted as an advisor until his death. BNN is a testament to his lifelong advocacy for public television, education and diversity in Boston. We are honored to have the opportunity to recognize Charlie’s lifelong commitment to social justice and dedication to overcoming race and class barriers.